The tiny village of Bodiam is best known for its imposing and beautiful medieval castle on the banks of the River Rother. 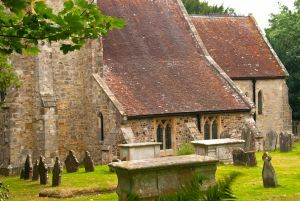 High above the castle on a wooded hillside, overlooking the river valley, stands the medieval parish church of St Giles, Bodiam, hidden away from the hordes of tourists who descend upon the castle. 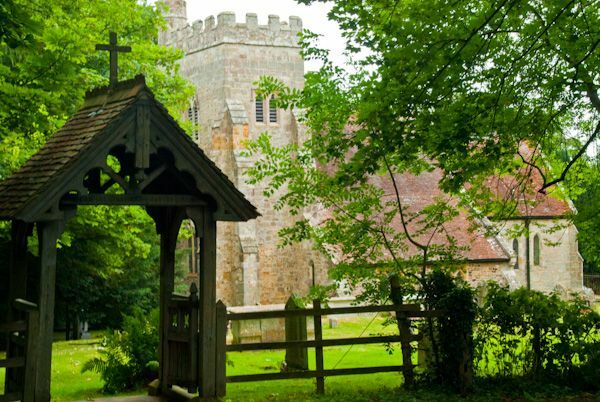 The church of St Giles stands in a wooded glade. It is a predominantly 13th-century building in Early English style. It is composed of a heavily-buttressed and embattled western tower, nave, two aisles, and chancel. 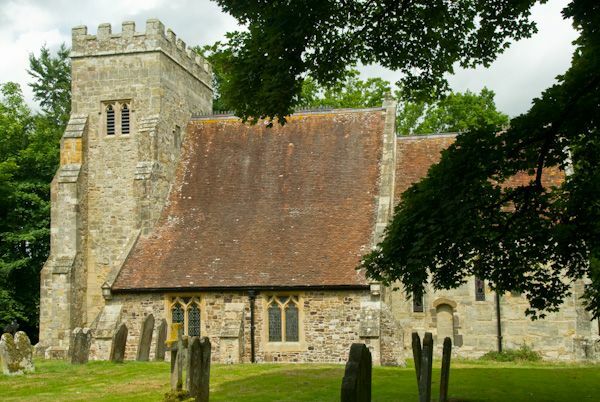 The church was first noted in taxation rolls in 1291. 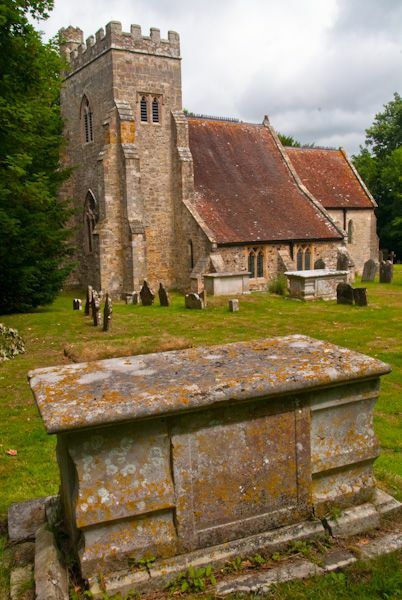 The most memorable feature of Bodiam church is the series of medieval brasses found on the west wall of the tower. One of the brasses is but a fragment, dating to 1360. 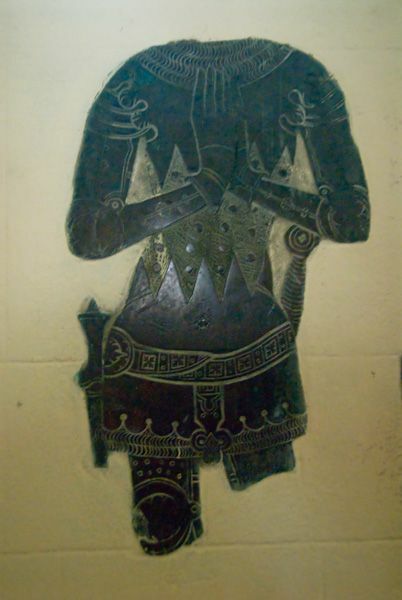 Another depicts a knight in armour typical of the 14th century. 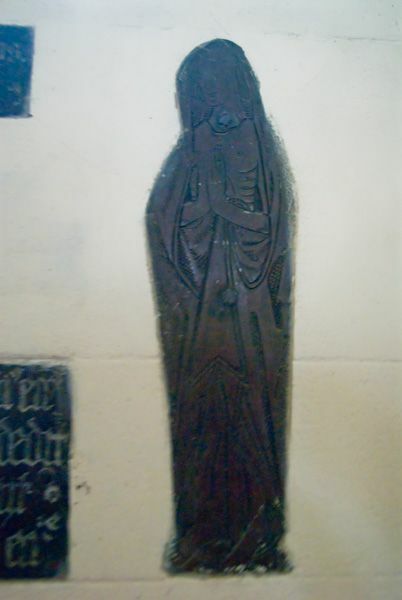 This is thought to be one of the de Bodeham family of Wardieu, from whom the village takes its name. A descendant of the de Bodeham's, Sir Edward Dalyngrigge, built Bodiam castle in 1386. 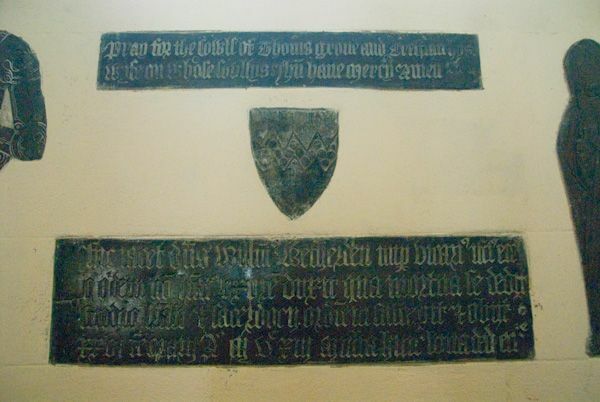 A third brass is that of William Wetherden (d. 1513), a poor man who, upon the death of his wife, entered the priesthood and became vicar here. 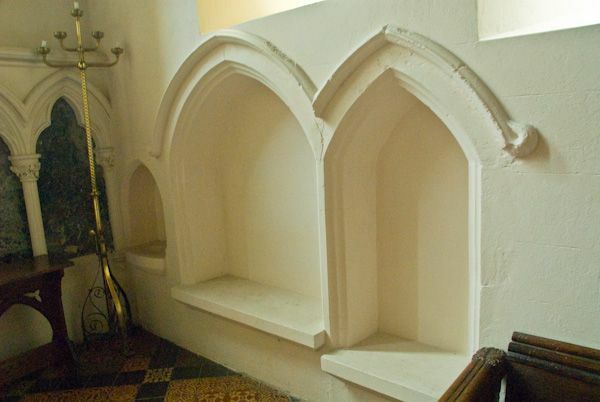 On the south wall of the chancel you can see evidence of Saxon stonework from a much earlier church. Location: Off the minor road through Bodiam, above Bodiam Castle. There is a small parking lot.